This post was sponsored by Vlasic. Thank you for supporting our sponsors! It helps us keep going! I’ll admit I’m not the biggest wing person and when I do make and eat them I prefer to keep them intact, tip and all, (I think you get a more juicy and flavorful end result this way). Since we were having friends over and wanted them to be able to easily pick up the wings and nosh away, we cut them down into wingettes and drumettes. 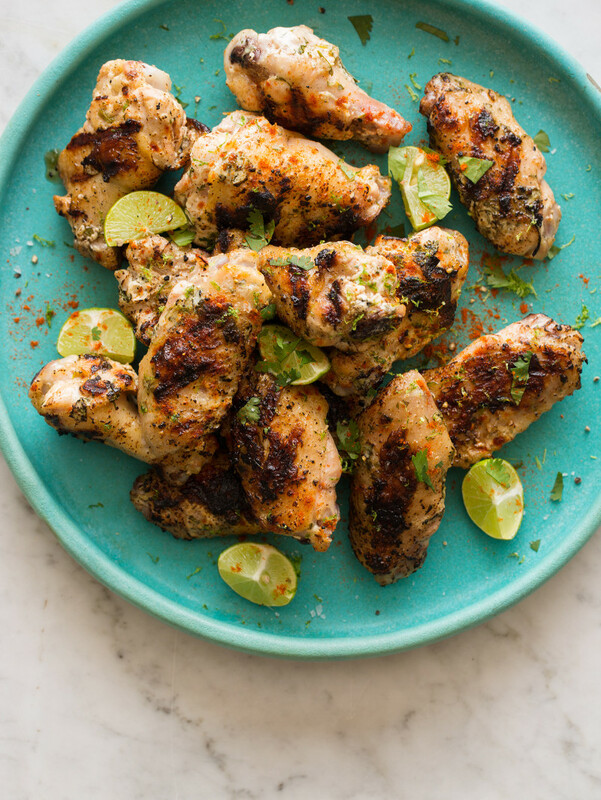 To marinate these wings we used a new combination: yogurt and Farmer’s Garden pickle juice. The result was perfect. 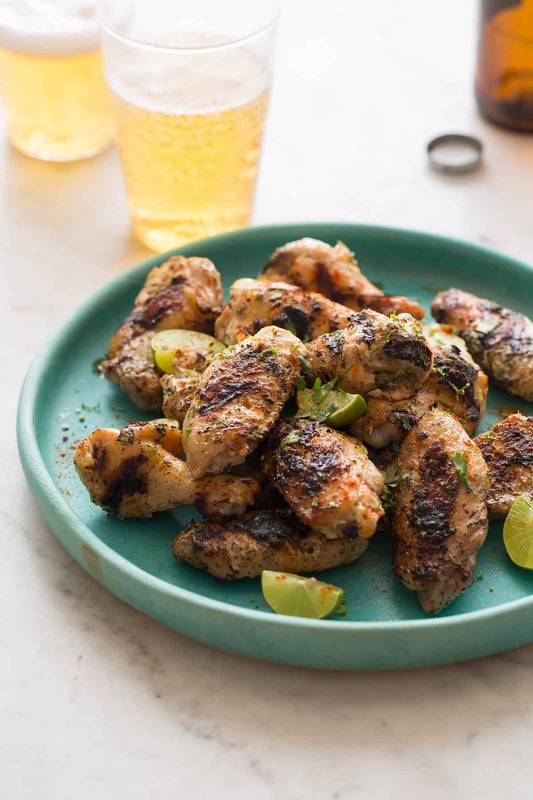 The combination of the pickle juice and yogurt tenderizes the chicken beautifully as well as infuses this natural ‘briny’ feel to the wings. It’s so good! For the marinade we used the juice from the Bread and Butter Chips variety. The juice is mild but with a touch of sweetness and it combined perfectly with the extra tart key limes. This simple combination of flavors is perfect for the warm months ahead of us and all the fun parties and barbecues that come with them. Not only is this dish easy to throw together and super tasty, it’s also pretty inexpensive so it’s perfect for big groups! 1. Separate drumettes from wingettes by slicing a sharp knife through the joints. Place trimmed wings into a large mixing bowl and toss together with salt and pepper. Set aside. 2. In another mixing bowl whisk together all marinade ingredients pour over wings. Toss together until all the wings are fully coated and submerged in the marinade. Cover, refrigerate and allow the mixture to sit for 6 hours. 3. Preheat grill to medium-high heat. Generously brush grill with a ‘high temperature resistant’ oil before adding chicken. 4. Remove wings from marinade, shaking off any excess and place onto the grill. Generously season with salt and pepper. 5. Lower the heat to medium, cover and grill for 10 minutes. Uncover, flip and grill for another 10 to 12 minutes or until the juices run clear when a test cut is made. 6. 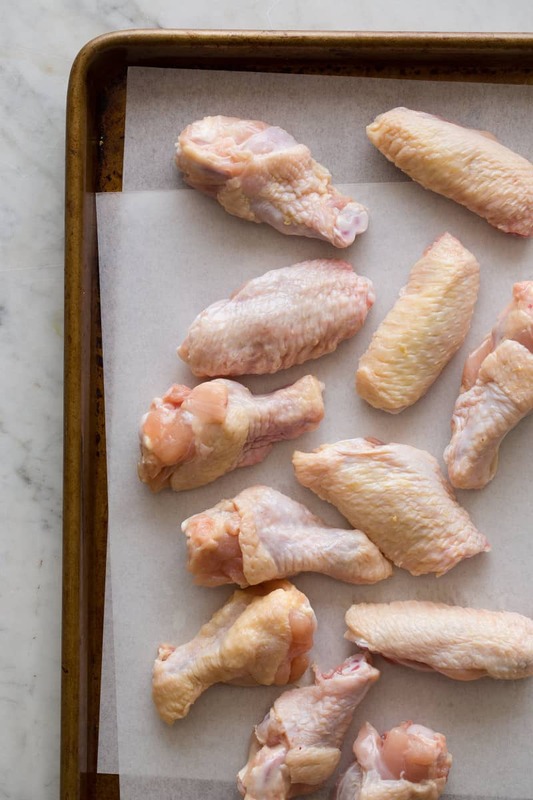 Remove from grill and allow wings to rest for about 7 minutes. 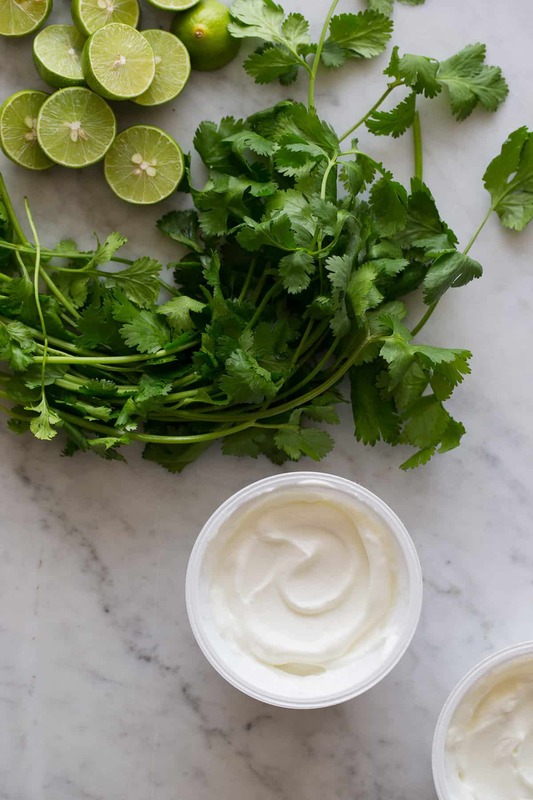 Transfer to a serving plate and top with key lime wedges, cilantro leaves and sprinkle of smoked paprika. Serve. What an absolutely perfect combination of flavors! And you spoke too soon, it’s going to be brutally hot here this week. Still, perfect weather for these wings. Love them! This really grabbed my attention. They look (and sound) soooo good! Did you serve them as part of a ‘buffet-style’ meal? This looks outrageously good, perfect for grilling season! These look so good and juicy! Pickle juice!! So genius! 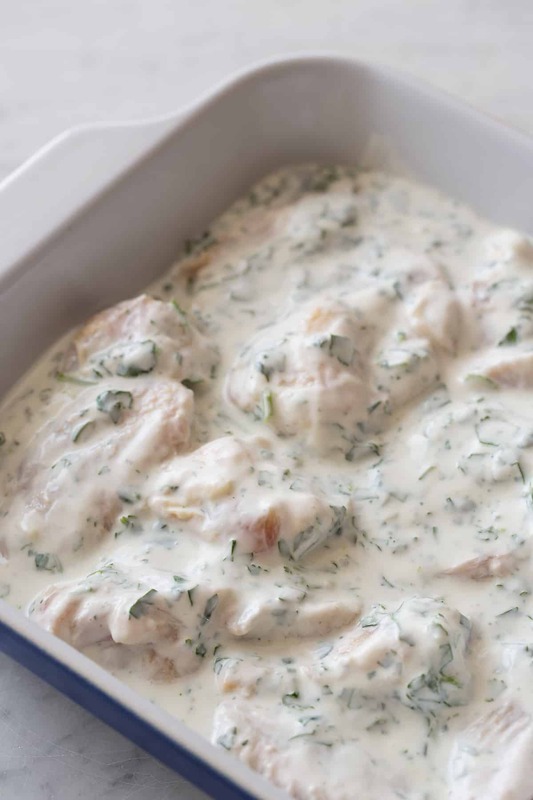 I like to marinate my chicken in milk, but yogurt sounds even better. Oh, my! This wings alone make me wish I had a grill! I still foresee these in my near future. :) Thank you for posting. Thanks for the recipe – like you I’m not the greatest fan of chicken wings as there isn’t enough meat on them for my liking but I’d love to try this with chicken thighs which are thicker and, for me, more juicy! Made these as one of the grilled options at my Memorial Day BBQ. They were gobbled up before everything else! Everyone loved them, and I loved how easy they were. Yum. 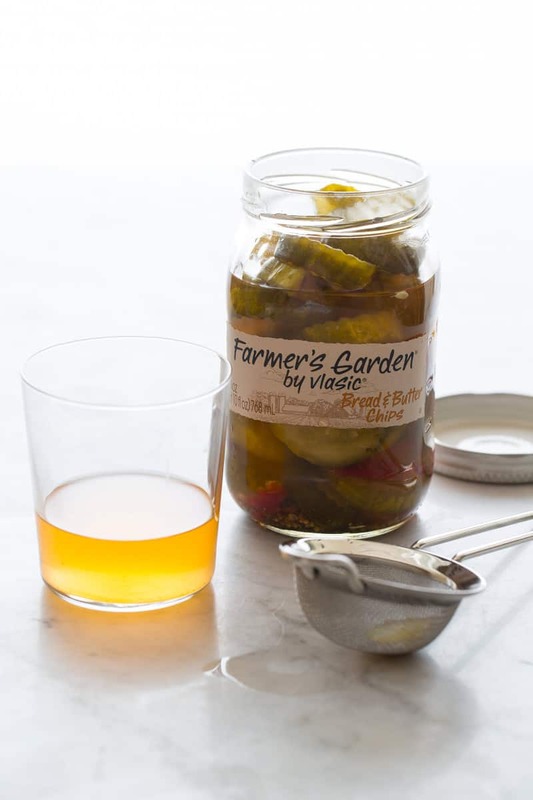 Is there an alternative for the pickle juice? It sounds amazing to add, but I live in Canberra, Australia, and I’m really not that hopeful in finding good quality pickle juice!